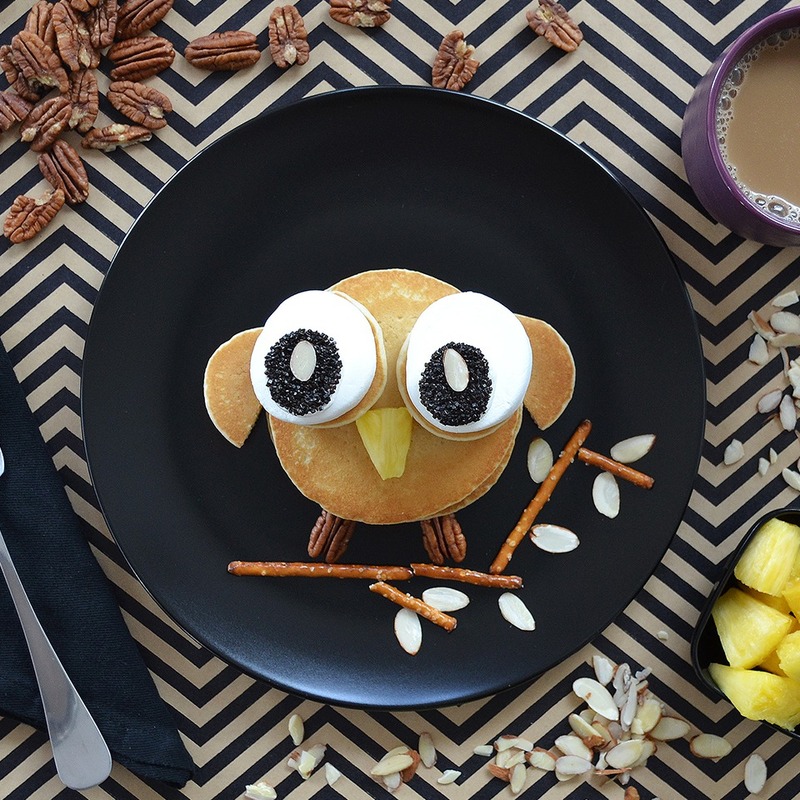 This adorable Owl Pancake is a real hoot! All you need are a couple of Buttermilk Pancakes, a few Minis, and a handful of wholesome extras to make this birdie come to life. Once pancakes have cooled, assemble your bird base – 2 regular pancakes stacked in the middle, 2 minis on top, and one mini cut in half and placed on either side for the wings. Next, add 2 pecans for feet and a pineapple slice for its nose. Place marshmallows on top of the 2 whole minis and decorate with black sprinkles and a slice of almond to made your owl come to life. Last but not least, give your owl something to perch on! A few pretzel sticks and sliced almonds create the perfect branch. Now whooo’s ready to eat?